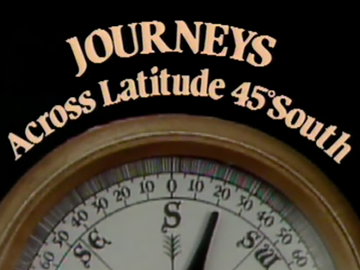 In TVNZ’s Journeys Across Latitude 45 South, writer and presenter Peter Hayden traverses east to west from Otago’s Waitaki Plains to George Sound in Fiordland. Hayden walks, hitches, cycles, paddles a mōkihi (a traditional Māori canoe made of reeds) and white water rafts along the 45 south line. Along the way he builds a social, industrial and natural history of latitude 45 south. From the lonely wilds of Fiordland to the tourist Mecca Queenstown, Hayden encounters the quixotic and gruff, and pioneer species of the past, present in a changing world. Man. Dog. Sheep. This was an unlikely formula for Kiwi TV gold. 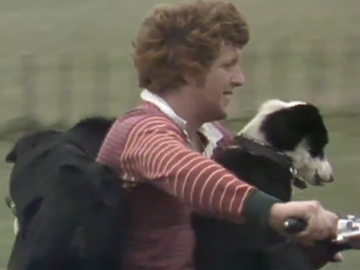 Showing sheepdog trials from around the country, A Dog’s Show ran from 1977 to 1992. In each trial a farmer, armed with an array of whistles and commands, instructed a sheepdog to wrangle a flock of recalcitrant sheep along a course or into a pen while the bearded, sagacious, Swannie-clad John Gordon provided the commentary. Trivia: the opening tune is a version of the Statler Brothers song ‘Flowers on the Wall’, also used in movie Pulp Fiction. Like the eponymous native plant this children's puppetry programme stuck to the socks of many kiwis of a certain vintage. 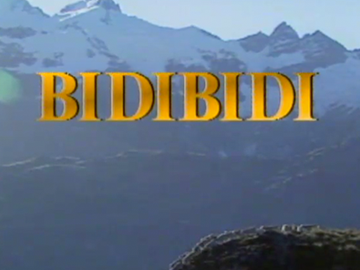 Produced in Dunedin by TVNZ's Natural History Unit (now independent production company NHNZ) Bidibidi followed the adventures of a sheep on a South Island station for two series. Bidibidi was adapted from the children's book by Gavin Bishop. Each programme interspersed puppet scenes and musical numbers with the expected first-rate NHU-shot footage of birds and other animals that Bidibidi meets en route, from kea to skinks and bitterns. 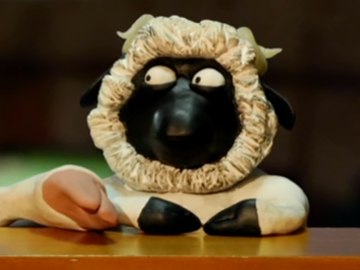 Ovine raconteurs Robert and Sheepy made their short film debut in 2001, thanks to the stop motion magic of Guy Capper. Capper and Jemaine (Flight of the Conchords) Clement's comical duo — one loquacious, one laconic — stood out from the flock amidst 100s of entries in the trans-Tasman Nescafe Short Film Awards, sharing first prize in 2001. Further occasional installments of The Pen were made over the next decade and shown online, and in 2010 Robert and Sheepy’s woolly wisdom was brought to TV audiences as a segment in sketch show Radiradirah. 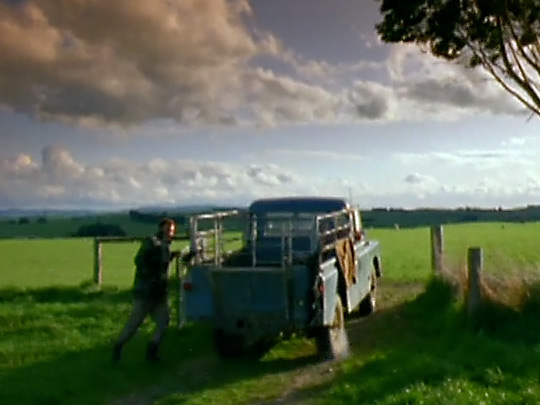 The iconic all-things-rural show is the longest running programme on New Zealand television. With its typical patient observational style (that allows stories of people and the land to gently unfold) it’s an unlikely broadcasting star, but New Zealanders continue, after 50 plus years, to tune in. Amongst the bucolic tales of farming, fishing and forestry, there are high country musters, floods, organic brewing, falconry, tobacco farming, as well as a fencing wire-playing farmer-musician, a radio-controlled dog, and Fred Dagg and the Trevs. The five-part series told the story of colonial outlaw James Mackenzie: accused of rustling 1000 sheep in the high country that would bear his name. His escapades on the lam elevated him to folk hero status. Like producer John McRae’s prior series, Hunter’s Gold, the South Pacific Television ‘prestige’ drama was made with export in mind. 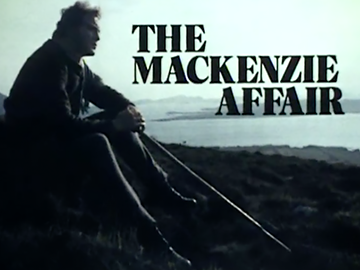 Adapted from James McNeish’s book, the early co-production — with Scottish TV, where the opening episode was shot — imported Caledonian lead actor James Cosmo (Braveheart, Game of Thrones) and veteran UK TV director Joan Craft. 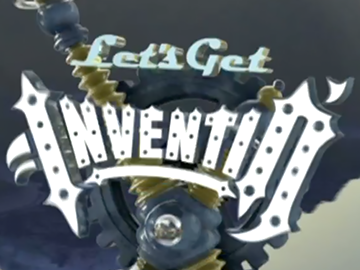 This madcap, Qantas award-winning TV2 children's show gives young inventors the opportunity to realise their ideas. 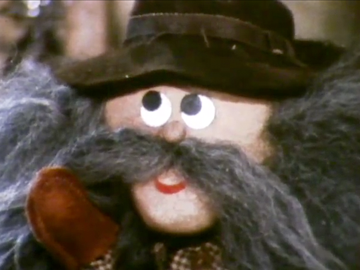 It was created by Neil Stichbury and Luke Nola after their zany inventions show for kids, The Goober Brothers, had viewers sending in their own suggestions. There's serious intent in the mayhem with practical science explanations and intellectual property safeguarded. Contributors over six series (to 2012) have included engineer Chris Chitty (creator of animatronic sheep for the film Babe) and Sam Britten (son of motorcycle designer John Britten). After several years working for TV3, animator and creature creator Cameron Chittock decided to create his own children's series. 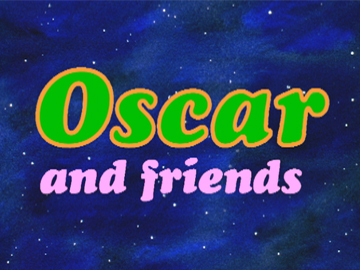 Plans for a live action show involving puppets proved unfeasible; instead Oscar and his two imaginary friends were brought to life with a mixture of stop motion and traditional animation. Chittock worked with veteran Euan Frizzell, and enlisted Aardman legend Richard Starzak (Shaun the Sheep) to help train up the Kiwi animation team. 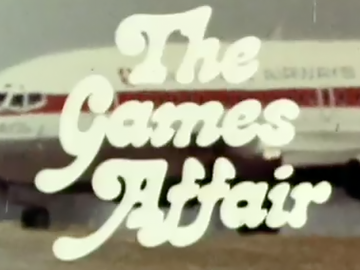 The 26 five-minute episodes screened in New Zealand and abroad, including the UK, USA and Australia.